Ron Paul is a man you can trust. This is the most exciting news I have heard in a long time! Truly fantastic. Once again, Ron Paul puts his money where is mouth is. The curriculum will be free through 5th grade, and then there will be a cost. 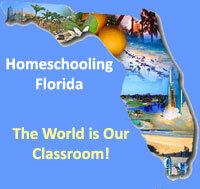 ← Home School Evaluations in Fl County – Standardized Test? How Do Homeschooling Students Do the FCAT ?